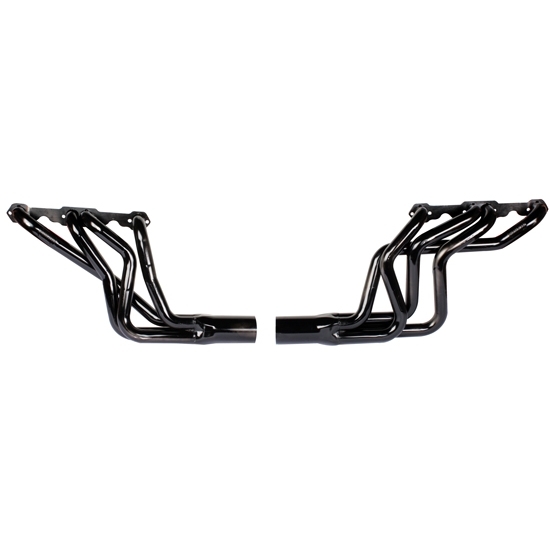 Large diameter conventional style headers for street stock cars. Standard port only. 3-1/2" collector. Includes gaskets and headers bolts. For 1964-77 Chevelle, Monte Carlo, etc. and 1970-81 Camaro/Nova with engine in stock location or with mild engine set back. Will not clear rear engine mounts.